A handy way to keep your garden tidy and your Springfree accessories in one easy place! 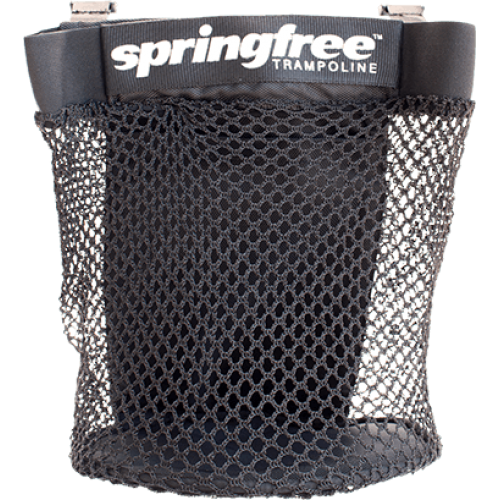 Made of the same all-weather UV stabilised materials to last outside in the elements, the storage bag attaches easily to the frame and fits all Springfree Trampoline models. Perfect for storing your items! Approx. 250mm wide, hangs 300mm down from the frame.